Over the weekend, a very niche group of people got together in Forestport, New York to enjoy the sun, snow and, especially, their Model Ts. 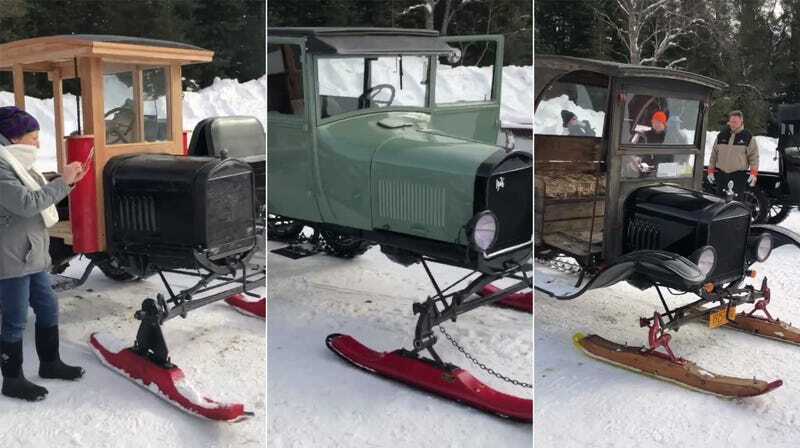 It was the Model T Ford Snowmobile Club’s 20th annual meet up, and there were more Tin Lizzys on skis than you could shake your fists at. Not that you would want to threaten them with violence. Just look at how cute they all are! Not only are there enough Model T snowmobiling enthusiasts to necessitate a meet up, but they’ve been doing it for 20 years. They needed a hotel and a buffet and spent the whole weekend tooling around in their Model Ts. But these delights are not the result of a 21st century enthusiast’s fever dream. The patent for the Model T’s snowmobile front attachment was originally filed in 1917 by Virgil D. White, a Ford dealer in (perhaps unsurprisingly) New Hampshire, as the New York Times reported back in 2008. At one point, White was reportedly making 3,000 a year, which may be why you find so many roaming New England. The attachments were an effective way to allow Model Ts to be used year round in northern states, where people still used horses to travel in the snow. 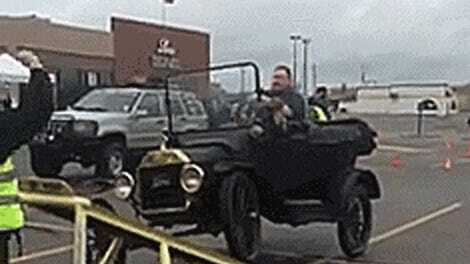 Driving A Ford Model T: How Hard Could It Be?